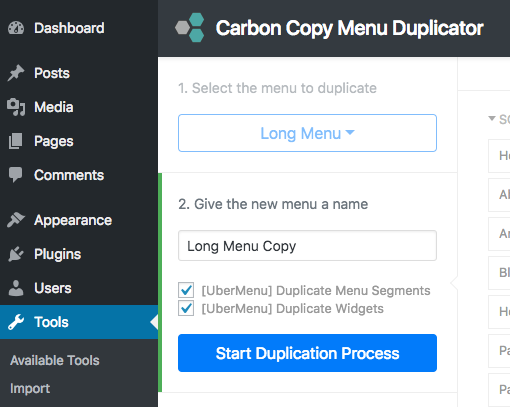 You’ll receive status updates and an alert when the duplication completes. 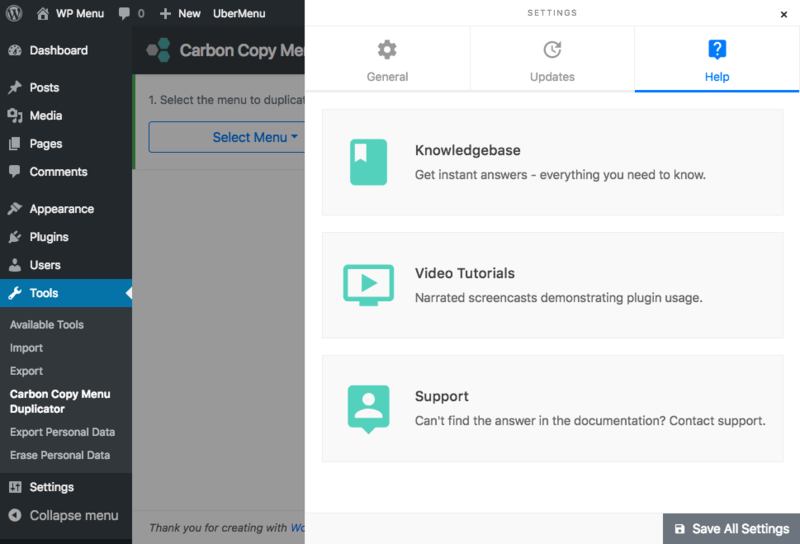 You can initiate a the copy of a specific menu from the WordPress Appearance > Menus screen. 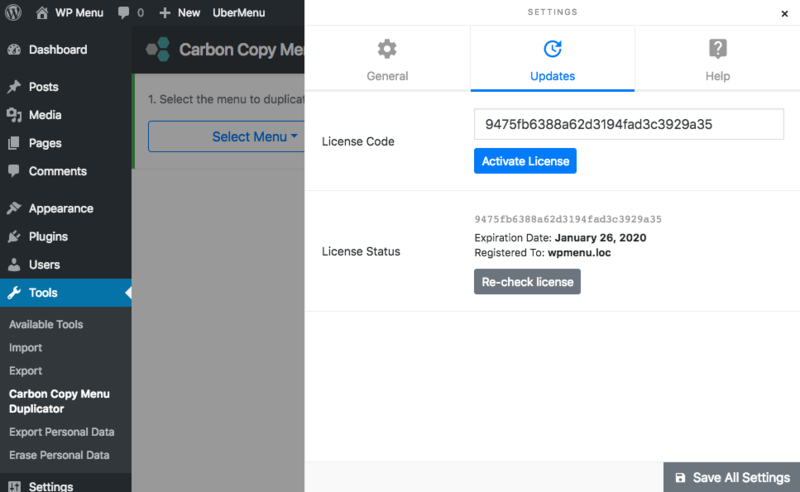 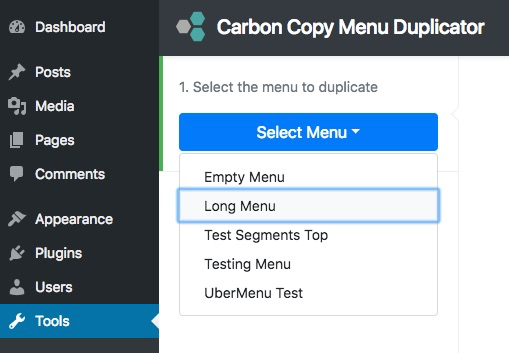 Settings in Carbon Copy Menu Duplicator are minimal. 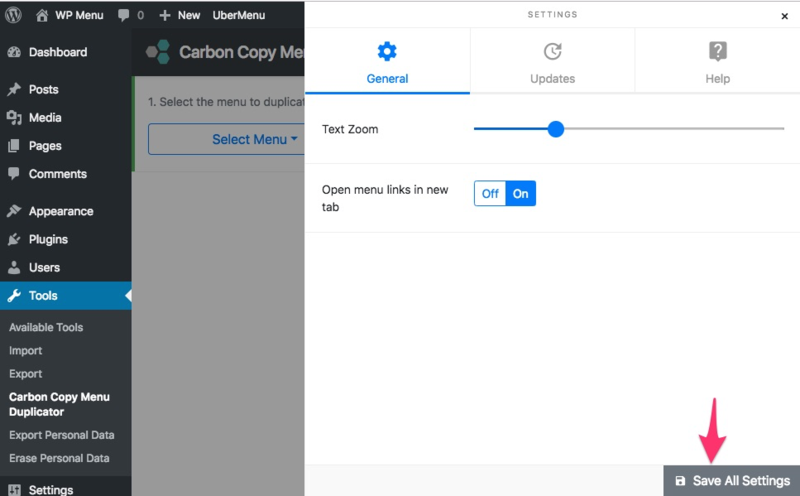 Adjust any options then click Save all settings to save them.